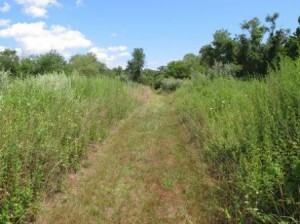 Invasive plants present an increasing threat to natural communities throughout Connecticut and the United States. These non-native invaders are often referred to as a form of “biological pollution” that is sweeping through natural and minimally managed landscapes. Controlling invasive plant populations is important to reduce negative impacts on these ecosystems. Early detection and action is vital in any management plan. This guide is intended to assist with identification of invasive plants and provide information on controlling these problem plants. We have included both non-chemical means of control as well as information on proper use of herbicides where chemical controls are needed. The choice of control measure depends on the size and nature of the infestation. If dealt with early enough, invasive plant problems can often be eliminated by non-chemical methods. However, a herbicide-based approach may be required to control an infestation that has become well established or widespread. This management guide will be updated periodically to include additional invasive plants and more information about management of plants already included in this version.